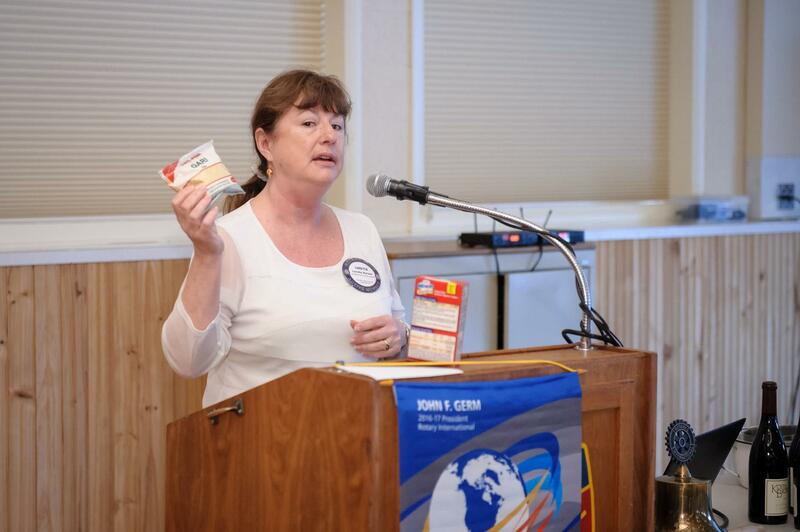 Poulsbo Rotarian Loretta Byrnes described her experience working with the Gates Foundation in Nigeria to improve the nutritional value of Cassava, a staple of the Nigerian diet. She explained the complexity of processing Cassava into an edible product, which produces tapioca, but also produces the deadly byproduct cyanide, which is often just dumped on the ground, creating deadly pollution. Harvesting is difficult and requires extensive weeding. Efforts to introduce more nutritionally rich and productive strains of the plant proved challenging because farmers were not necessarily enthusiastic to try unfamiliar strains of the plant. It provided a fascinating window into a very different culture few of us know about.